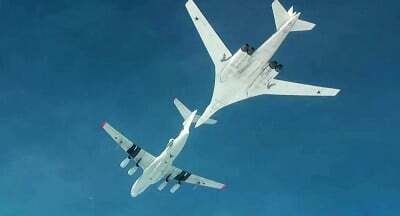 The second phase was introduced gradually, without much fanfare, but it made a big difference on the ground: the Russians and Syrians began to closely work together and they soon honed their collaboration to a quantitatively new level which allowed the Syrian commanders to use Russian firepower with great effectiveness. Furthermore, the Russians began providing modern equipment to the Syrians, including T-90 tanks, modern artillery systems, counter-battery radars, night vision gear, etc. Finally, according to various Russian reports, Russian special operations teams (mostly Chechens) were also engaged in key locations, including deep in the rear of Daesh. As a result, the Syrian military for the first time went from achieving tactical successes to operational victories: for the first time the Syrian began to liberate key towns of strategic importance. Finally, the Russians unleashed a fantastically intense firepower on Daesh along crucial sectors of the front. In northern Homs, the Russians bombed a sector for 36 hours in a row. According to the latest briefing of the Russian Defense Ministry, just between February 4th and February 11th, the Russian aviation group in the Syrian Arab Republic performed 510 combat sorties and engaged 1,888 terrorists targets. That kind of ferocious pounding did produce the expected effect and the Syrian military began slowly moving along the Turkish-Syrian border while, at the same time, threatening the Daesh forces still deployed inside the northern part of Aleppo. In doing so, the Russians and Syrian threatened to cut off the vital resupply route linking Daesh to Turkey. According to Russian sources, Daesh forces were so demoralized that they forced the local people to flee towards the Turkish border and attempted to hide inside this movement of internally displaced civilians. This strategic Russian and Syrian victory meant that all the nations supporting Daesh, including Turkey, Saudi Arabia and the USA were facing a complete collapse of their efforts to overthrow Assad and to break-up Syria and turn part of it into a “Jihadistan”. The Americans could not admit this, of course; as for the Saudis, their threats to invade Syria were rather laughable. Which left the main role to Erdogan who was more than happy to provide the West with yet another maniacal ally willing to act in a completely irresponsible way just to deny the “other side” anything looking like a victory. According to various reports, Erdogan has 18,000 soldiers supported by aircraft, armor and artillery poised along the border to execute such an invasion. Needless to say, both plans are absolutely illegal under international law and would constitute an act of aggression, the “supreme international crime”according to the Nuremberg Tribunal, because “it contains within itself the accumulated evil of the whole.” Not that this would deter a megalomaniac like Erdogan. Erdogan also has to consider another real risk: that, while undoubtedly proficient, the Turkish forces might not be a match for the battle-hardened Kurds and Syrians, especially if the latter are supported by Iranian and Hezbollah forces. The Turks have a checkered record against the Kurds whom they typically do overwhelm with firepower and numbers, but whom they never succeeded in neutralizing, subduing or eliminating. Finally, there is the possibility that Russians might have to use their ground forces, especially if the task force in Khmeimim is really threatened. In this regard, let me immediately say that the projection of, say, an airborne force so far from the Russian border to protect a small contingent like the one in Khmeimim is not something the Airborne Forces are designed for, at least not “by the book”. Still, in theory, if faced with a possible attack on the Russian personnel in Khmeimin, the Russians could decide to land a regimental-size airborne force, around 1,200 men, fully mechanized, with armor and artillery. This force could be supplemented by a Naval Infantry battalion with up to another 600 men. This might not seem like much in comparison to the alleged 18,000 men Erdogan has massed at the border, but keep in mind that only a part of these 18,000 would be available for any ground attack on Khmeimin and that the Russian Airborne forces can turn even a much larger force into hamburger meat (for a look at modern Russian Airborne forces please see here). Frankly, I don’t see the Turks trying to overrun Khmeimin, but any substantial Turkish ground operation will make such a scenario at least possible and Russian commanders will not have the luxury of assuming that Erdogan is sane, not after the shooting down of the SU-24. After that the Russians simply have to assume the worst. The latest news strongly suggests to me that the White House has taken the decision to let Turkey and Saudi Arabia invade Syria. Turkish officials are openly saying that an invasion is imminent and that the goal of such an invasion would be toreverse the Syrian army gains along the boder and near Aleppo. The latest reports are also suggesting that the Turks have begun shelling Aleppo. None of that could be happening without the full support of CENTCOM and the White House.